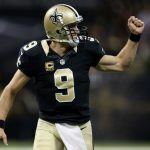 The odds of a leading Super Bowl contender could begin to slip without the services of one of its best players and one of the NFL’s all-around leaders in production. It’s the Wednesday before the season opener and Pittsburgh Steelers’ star running back Le’Veon Bell is nowhere to be found. Whatever comes of the franchise-tagged running back’s holdout, it’s becoming clear he won’t be in pads for the Steelers’ week one matchup against the Cleveland Browns. What isn’t clear is how Bell’s absence will affect the 12/1 odds the Steelers have of winning this year’s Super Bowl, according to Westgate. As Bell’s holdout has loomed over the start of the season, the Steelers’ Super Bowl odds have dropped from the 10/1 tag the team carried just last week. There are rumblings around the league that Bell could holdout until Week 10. Bell’s gripe with the team is over receiving the club’s franchise tag for the second consecutive year. 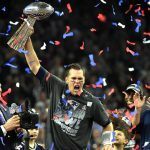 Teams can apply the franchise tag to one player each offseason season to prevent them from signing with another team in free agency. The franchise tag is a 1-year contract that pays the player the average of the league’s top five salaries at his position. Bell earned just over $12 million playing under the franchise tag last year. He’d stand to make $14.5 million under this year’s tag, but has maintained he will not play again unless he receives a long-term contract. On Wednesday, his absence reached a boiling point with Steelers teammates who said they’re moving on without him. “We have a game this Sunday. Now we’re all the way into the game plan as of Wednesday. And you’re still not here? It’s bigger than just business,” center Maurkice Pouncey said. For each game Bell decides to miss, he will also miss out on a check of $855,000. Bell must return to action by Week 11 to become eligible for free agency next spring. If he decides to call the organization’s bluff for the first ten weeks, he would miss out on $8.5 million in salary. While missing out on $8 million might seem foolish, Bell has his sights set on a larger payday. Earlier this summer, Los Angeles Rams running back Todd Gurley signed a four-year contract extension with an average annual value of $14.3 million. While playing under the franchise tag in 2018 would make Bell this season’s highest paid running back, it doesn’t provide the long-term stability and total money he is apparently looking for. 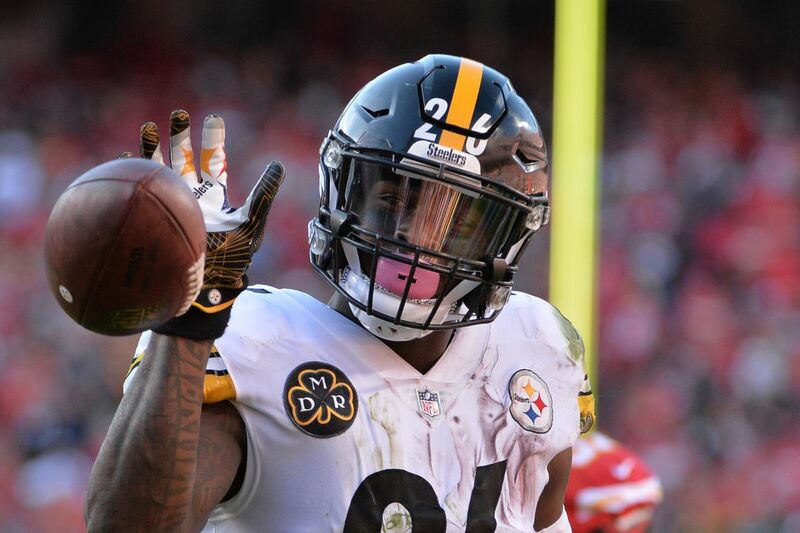 Bell reportedly turned down a 5-year, $70 million contract offer from the Steelers this summer. The deal would have paid him an average annual salary of $14 million. 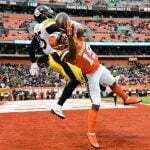 The NFL Network reported that Bell is seeking a contract that pays him $17 million per season. The Steelers’ Super Bowl odds are still tied for the fourth best odds in the entire NFL. Along with Pittsburgh, the Green Bay Packers, Houston Texas, Los Angeles Chargers, and Jacksonville Jaguars are also listed at 12/1. The Steelers still remain one of the favorites to represent the AFC in the Super Bowl this year with 9/2 odds for a conference championship. That’s behind only the New England Patriots, who are 3/1. Despite not having the conference’s best odds, one projection thinks they’ll be playing for a Lombardi Trophy this season. A recent simulation by OddsShark listed the Steelers vs. Eagles (+1200 ) as the most likely Super Bowl 53 matchup in February. 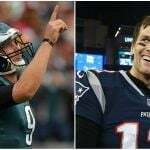 The odds of that hypothetical in-state Super Bowl pairing are followed by the possibility of Patriots vs. Eagles (+2345), Patriots vs. Rams (+2500), and Patriots vs. Packers (+2700).